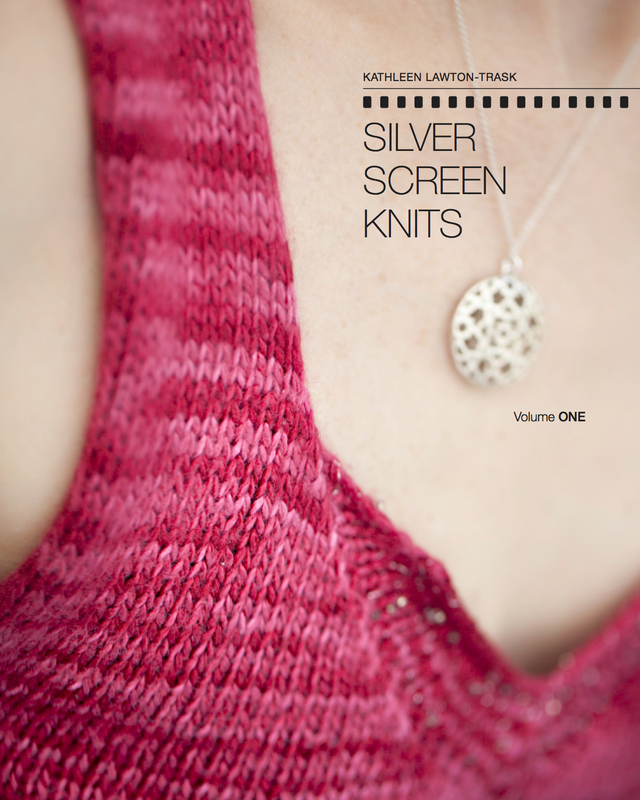 Poem Fence | Knit Like You Mean It. 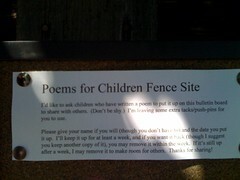 Here is one of the reasons we love our neighborhood: down the street, one of our neighbors has started a Poem Fence. Mr. Trask tells me that there used to be poems tacked on the fence, here and there, but now there are two established cork boards: one for children’s poems, and one for poems by adults. Children who have written a poem can post a copy of their poem on their board; the same for adults. Some folks have posted original poetry, and a few have posted poems by well-known poets that they just wanted to share. Some post one copy of their poem; some post several copies so passers-by can take one if they like. I’ve never met these neighbors, but I’m sending them goodwill and good vibes today for this excellent public service.